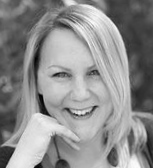 Nicola Whiteford is a freelance PR consultant. Nicola is the former editor of Speciality Food & Great British Food magazines. For the past five years she’s worked in public relations, helping food, beauty and health businesses gain the coverage and exposure they need in high profile magazines and newspapers, and on radio and local television – at a price they can afford.